Dynamic Tech House by M.Rodriguez is a whopping 500Mb+ collection of raw and dusty drums, melodic analogue synths, sub-smashing low-end bass, groovin' percussion and hat loops, FX and much more. Packed with stripped drum loops and all elements broken down to kick, hat and percussion sounds, warm and analogue-feel music kits with elements broken down to bass, synth & chord sounds, song-starting construction kits, low-end sub bass loops, melodic and ambient synth loops, no-kick top and percussion loops, glitched sounds and a nice selection of whitenoise FX ? 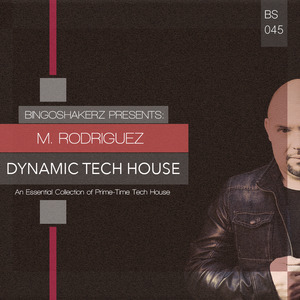 Dynamic Tech House by M.Rodriguez covers all your production needs! Give your productions an instant creativity spark with 8 well balanced music kits or 7 song-starting construction kits, boost your bottom end field with smashing sub bass loops, warm your productions up with beautiful Wurlitzer and piano chords or create that extra space with deep & atmospheric vibes.